Guess who's back? Back again? DeepVeer's back, tell a friend! 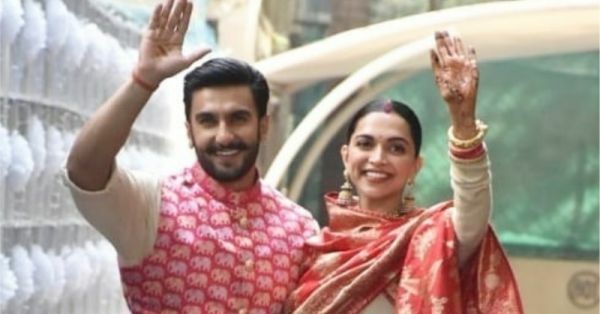 Okay, before I burst into song, I'm excited to tell you that our beloved newly-weds, Deepika Padukone and Ranveer Singh, returned to Mumbai today morning. 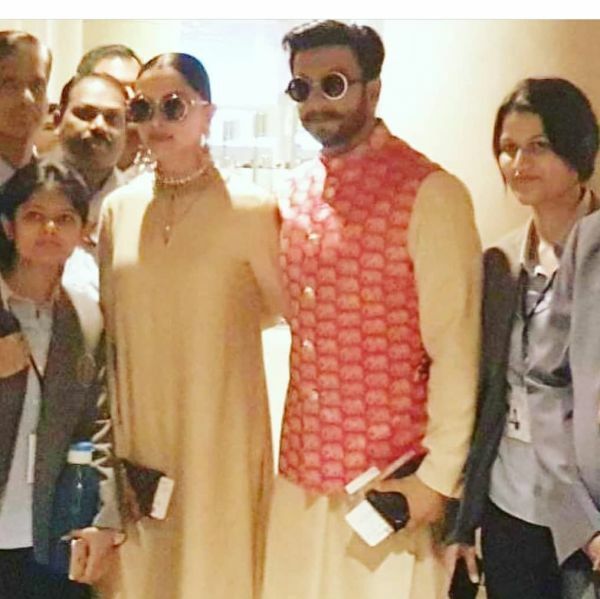 Dressed from head-to-toe in Sabyasachi, Ranveer Singh, as usual, looked dapper in that pink and gold Nehru jacket and his wife, Deepika Padukone, looked elegant in beige. It must have a long journey for these two lovebirds, but, that did not stop them from smiling and posing for pictures for the paparazzi. They were even kind enough to click pictures with their admirers at the airport as well. Home is where the fans are! Spotted: Ranveer and Deepika looking fabulous and dashing at Mumbai airport. Now that's what you call a couple in LOVE. These two together in one frame make my heart melt every damn time! Here’s a snap of Deepika Padukone at Ranveer's home all ready for the Griha Pravesh ceremony! Ready to go down the memory lane? These two tied the knot twice at Lake Como in Italy. 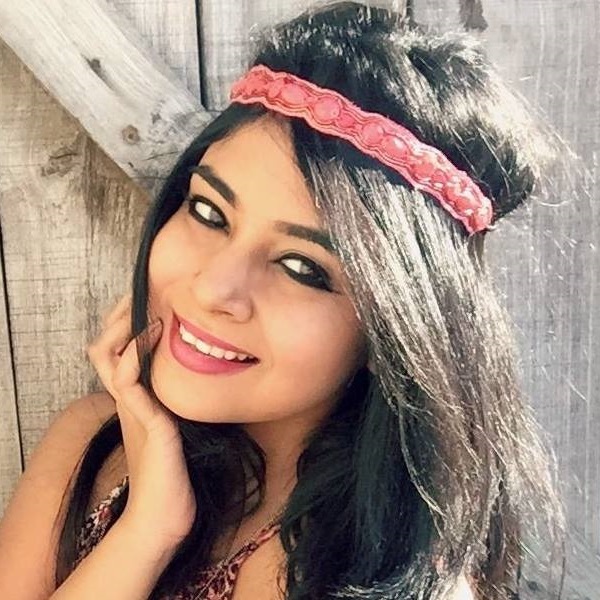 They followed Konkani and Sindhi rituals. The Konkani wedding, happened on the 14th of November, while the Sindhi one took place on the 15th. After this, they will be hosting two more wedding receptions. One in Bengaluru on the 24th of this month for family and friends and on the 28th of November in Mumbai for their Bollywood fam. Yep, it's going to be one entire month of celebrations. Congratulations once again, you two!